Tiger the Greyhound / Irish Wolfhound mix breed dog— "Tiger at 1 year old weighing 85 lbs. She is a very loving dog and thinks she is a lap dog. She is still very shy around people she does not know, but is getting much more social. Her sisters weighed over 110 lbs so she still has some growing to do." 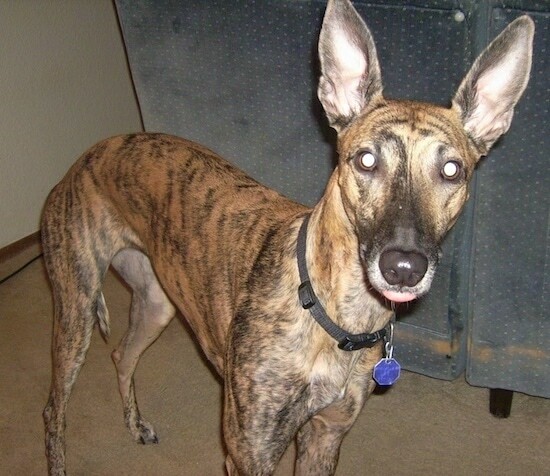 The Irish Wolf Greyhound is not a purebred dog. 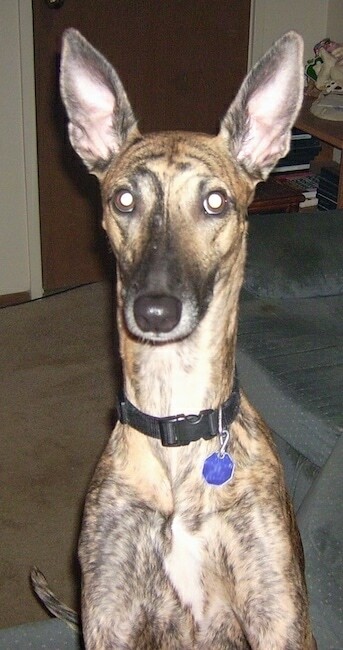 It is a cross between the Greyhound and the Irish Wolfhound. The best way to determine the temperament of a mixed breed is to look up all breeds in the cross and know you can get any combination of any of the characteristics found in either breed. Not all of these designer hybrid dogs being bred are 50% purebred to 50% purebred. 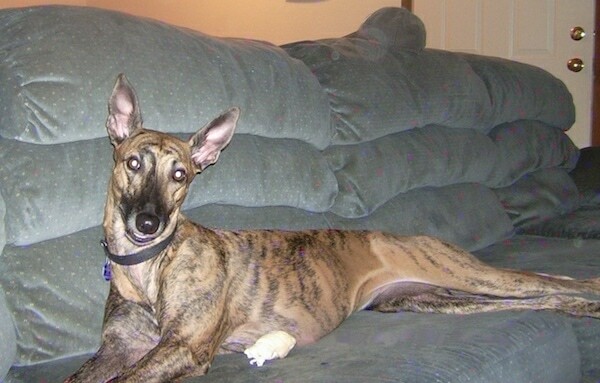 It is very common for breeders to breed multi-generation crosses.